You might remember I joined up with some other mum bloggers for #realmomstyle last Monday. It's a really great way to touch base with other bloggers and introduce School Gate Style readers to some super stylish mums out there. 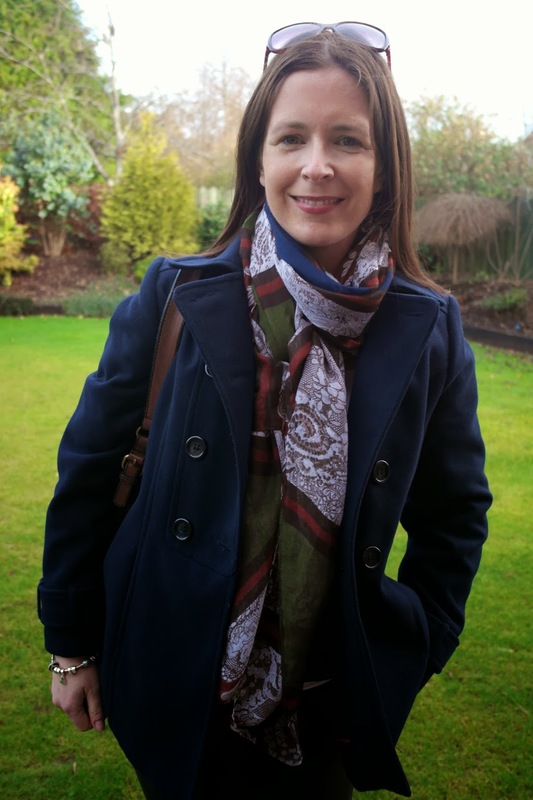 The way it works is that myself and a bunch of other mum bloggers link up to a weekly style post - this week it's being hosted by Ellen at Thrifty & Chic Mom. So it's a one stop shop of style! Now in reality today I'm sporting my tracksuit bottoms and fleece thanks to a physio appointment for my troublesome back so instead I'm sharing what I wore on Friday..building up from a base outfit of dark green coated skinny jeans, denim shirt, white vest and brown suede boots. I added on some accessories - a statement necklace and a scarf that I ordered as a sample for the shop. It was an immediate definite for the shop but when I went back to order it, it was out of stock at my wholesaler :( I'll keep an eye out for it in the coming weeks and you'll be the first to hear if I manage to secure some. My navy peacoat, handbag & sunnies finish it off...and I'm good to go! I hope you'll take a moment to check out the other #realmomstyle links on Ellen's post. Meanwhile, I'll be back tomorrow with a gorgeous Valentines & Mother's Day present idea. 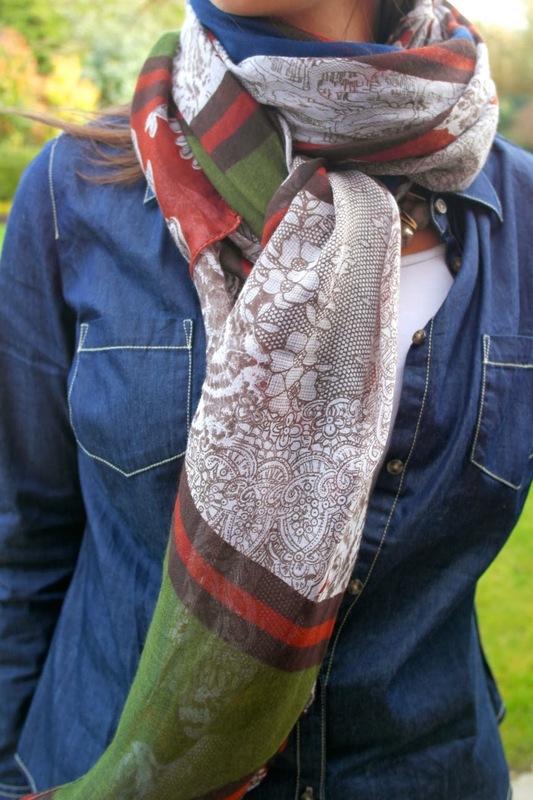 Lovely scarf :) Heres hoping you can get a hold of some! I love everything about this outfit!!!! I forsee a similar one in my future. Oh this is superb! What a bummer about not being able to stock either the necklace or the scarf - how annoying! I need that denim shirt in my life! I love this entire look, but especially the denim shirt and the colorful scarf! So happy to be linking up with you for #RealMomStyle! I am looking forward to next week's look!! What a cute outfit! I LOVE that necklace and the scarf is really cute too. I am totally in love with your pea coat. You look so fab in thisoutfit, i love scarf and necklace, i love the idea of teaming up with other moms!! 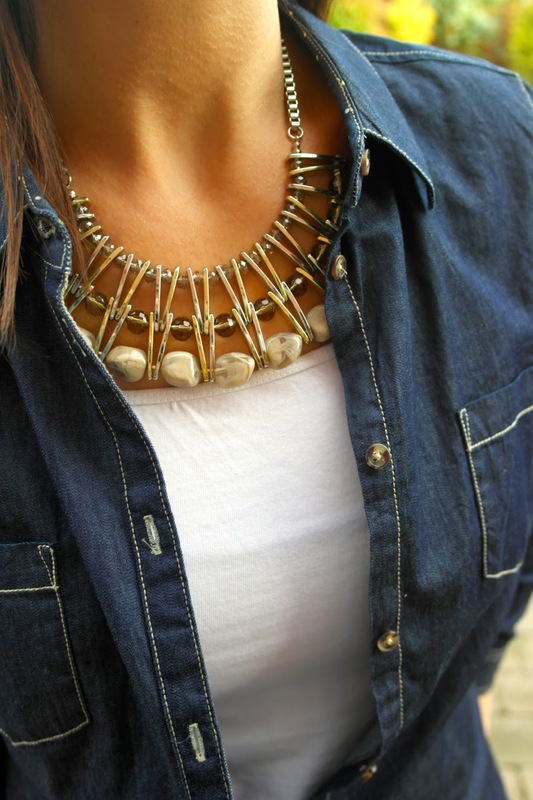 Love the necklace - that's really nice. Love the colour in the scarf as well !! The coat is really nice as well - I'm intrigued though as to why they are called Peacoats? Avril, I ADORE your scarves, you have wonderful taste and you just wear them so effortlessly chic :) Being a huge fan of statement pieces I've seen and worn many, but that one i just stunning! 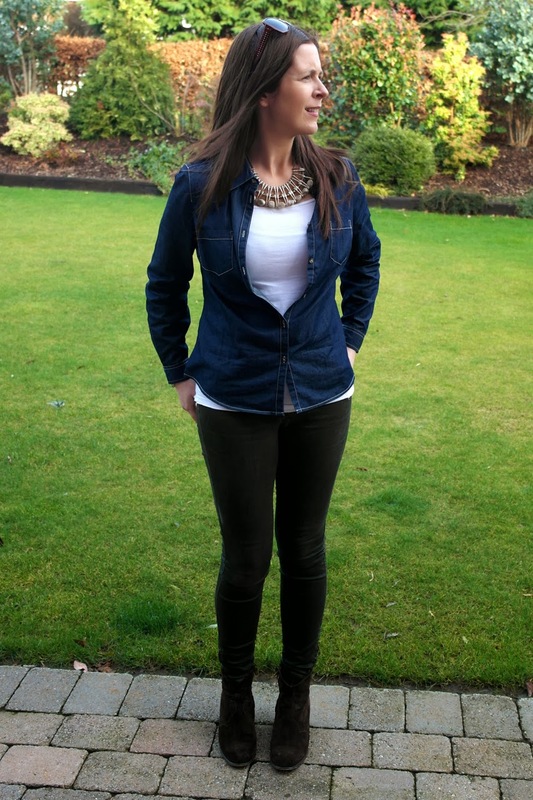 Thanks for joining in with us and we are so happy to have you share your style! Cheers from Washington, DC!